We are experts at water damage repair and mold remediation. We won’t leave the job half done. When a disaster hits your home or business, we’ll do the job right the first time so that you never have to make a second call. We respond swiftly, day or night, so the damage doesn’t get worse while you wait. 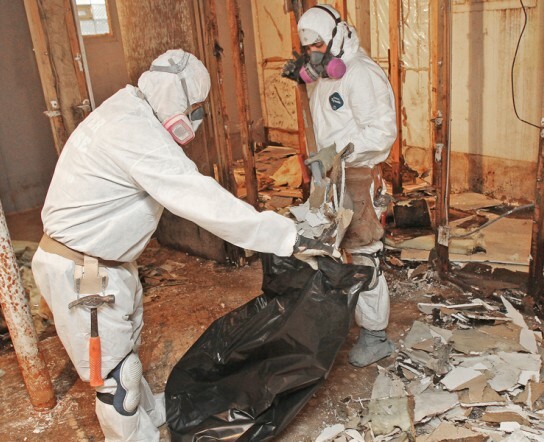 Certified, trained technicians have the know-how to safely and expertly handle water cleanup and mold remediation. Our one-stop solution includes structural drying, damage restoration, and antimicrobial measures. Advanced equipment and technology detects the source and isolates the area, preventing its spread. Black mold is the stuff of homeowners’ nightmares. It is a toxin-producing fungus that creeps in unnoticed, and then takes over. Mold is everywhere — indoors and out — just waiting for the conditions it needs to settle down and multiply. Microscopic spores can lie dormant almost indefinitely, until they encounter dark, damp areas to set up shop. Black mold, or Stachybotrys chartarum, can be toxic, harming the health of both people and pets. It belongs to a family of toxin-producing molds, all of which can be just as dangerous. 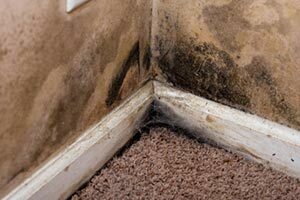 Mold emits a pungent, musty odor that prevents rooms from smelling fresh. Mold wreaks havoc on allergy-sensitive individuals, as well as those with asthma, making symptoms flare up. Mold can cause coughing, wheezing, chest tightness, and difficulty breathing. Mold toxins can trigger chronic inflammation and ongoing cold-like symptoms. People with compromised immune systems can get systemic infections of the lungs, skin, or digestive tract. In rare instances, mold toxins can cause neurological problems or even death. The more prolonged the exposure, the greater the danger. Exceptionally humid homes and offices can be subject to mold invasions even if no water damage has occurred. If you see or smell something that could be mold, get an expert opinion immediately. To get rid of mold, the environment where it thrives must first be eliminated. Water sources have to be dealt with, and any remaining moisture must be thoroughly dried out. Only then can mold removal and remediation start. Whether a leaky roof, burst pipe, or other entry point, it isn’t enough to stem the tide. Moisture can saturate out-of-sight portions of your home. Without proper cleanup procedures, mold will keep coming back to these areas. We inspect the area and assess visible and hidden damage caused by water and mold, and what must be done to prevent further damage. We contain the mold so that it can’t spread to wider areas. 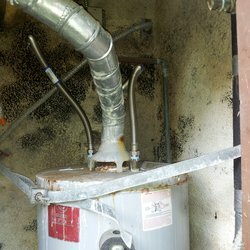 We use sophisticated air filtration techniques to remove spores from the air. We remove mold and any materials that have been infested with it, and then we treat the area with antimicrobial substances to kill what’s left. We clean household items, carpeting, furniture and décor that have come into contact with mold. This includes getting rid of that awful, musty odor. We restore the area to its pre-damaged state using new drywall, paint, carpet, and other building materials. While no process can ensure that a home won’t be re-infested with mold, we can make your home or business as inhospitable to mold as possible. Contact Paul Davis right away. Whether it’s your living space or your business environment that has been compromised, our fast, thorough, expertly trained technicians will turn back time on your water and mold damage. We’ll work with you to get things back to normal.